Look good and play great in Under Armour golf shorts from Carl's Golfland. Available in men's and women's styles, UA golf shorts offer exceptional quality, with features like four-way stretch, moisture-wicking material, and multiple functional pockets. You'll find a full range of sizes in multiple colors, all at the best prices available. Under Armour golf shorts are designed to be both stylish and practical, keeping you comfortable and focused on your game. Made with light, stretchy material, you'll have complete range of motion while swinging your club. Most styles of men's Under Armour golf shorts have a stretch engineered waistband for great mobility and comfort. Women's shorts include options made with technology that not only wicks away sweat to keep you dry and comfortable all day, but even repels water! Every pair of Under Armour golf shorts has pockets for ball markers or anything else you want to carry with you. Not only do Under Armour golf shorts keep you focused on your game, they look great worn on or off the golf course! Choose from a variety of colors, styles, and lengths to find the perfect fit for everyone. 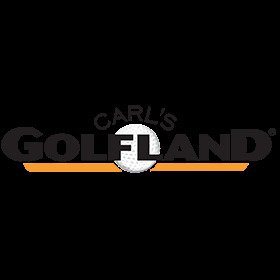 Whether you prefer a longer leg and a looser fit or a slim-fitted, flat front pair, Carl's Golfland has you covered. Don't forget to check out our junior sizes for players of any age! Whether you're looking for comfortable Under Armour men's golf shorts to wear for your next match or stylish women's shorts for a relaxing weekend game, you'll find all of the great Under Armour golf shorts and apparel that you want at Carl's Golfland. We're an authorized Under Armour Golf dealer and offer some of the best prices you'll find anywhere! Shop today and you'll get free shipping on orders over $50 and free returns every day. Need help choosing the right UA golf shorts or other products? Give us a call at 877-412-2757. We're here to make shopping for golf apparel and equipment easy!